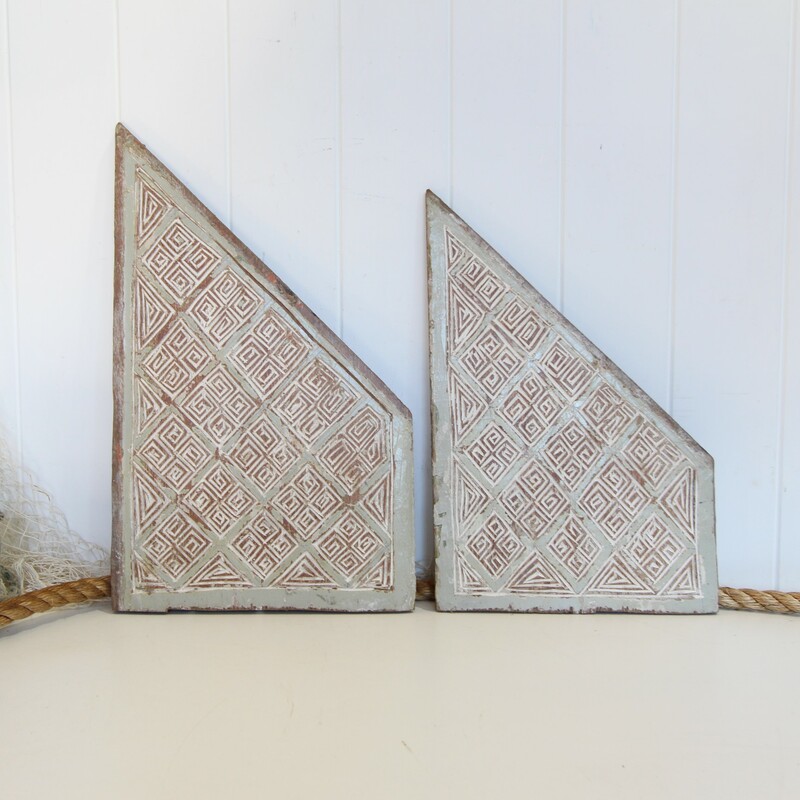 These lovely old carved wooden panels are from the Timor region. 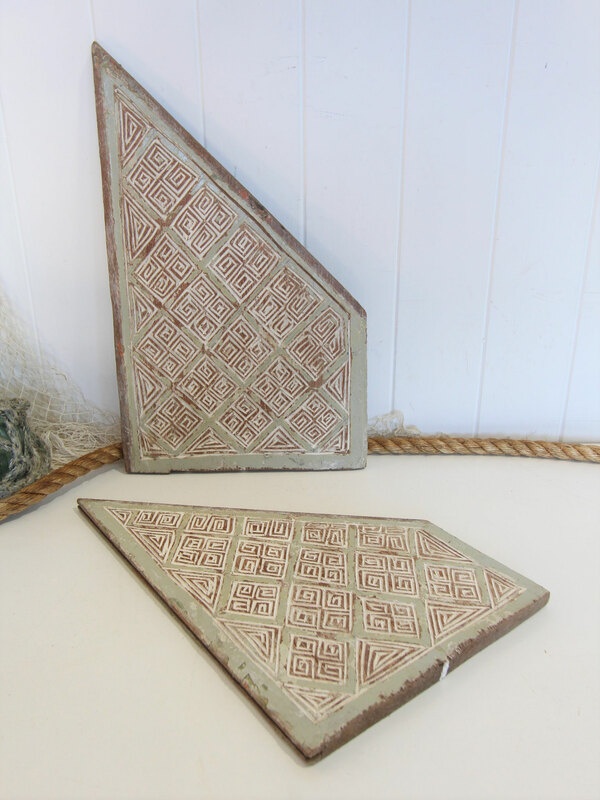 Originally used as wall or door panels, they look fantastic mounted on the wall or used as a board or tray to create a display on a sideboard or table centre piece. 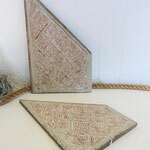 Perfect for creating an island or coastal feel.